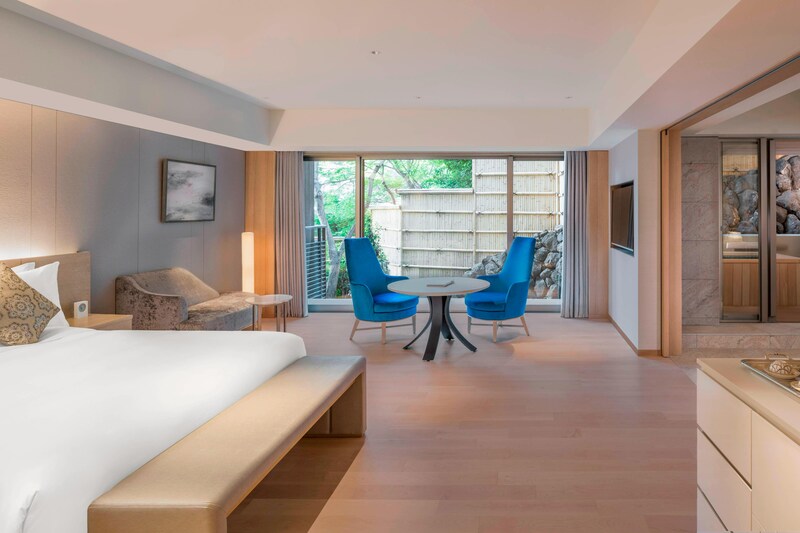 Set along the peaceful Hozu River, an authentic Japanese-style experience awaits at Suiran, a Luxury Collection Hotel, Kyoto. A harmonious blend of relaxing heaven and the modern conveniences of a vibrant city, the hotel is perfectly poised to offer access to some of Japan’s most important national treasures. With an intimate collection of 39 guestrooms, including 6 specialty rooms, this retreat is inspired by traditional Japanese touches and culture offering a truly enriching and indigenous experience. For a locally inspired meal, the restaurant and comfortable café offer a variety of gourmet options. Located in west end of Kyoto city which has over 1000 years of history as a retreat for aristocrats or loyal families, surrounded by nature such as jade-green river, mountain, and bamboo forest. Located in over 100 year-old traditional Japanese villa, Kyo-Suiran, Japanese Restaurant offers modernly innovated Japanese Cuisine inspired by French presentation. The Villa was originally build in 1899 by Baron Shozo Kawasaki, who is the founder of Kawa. 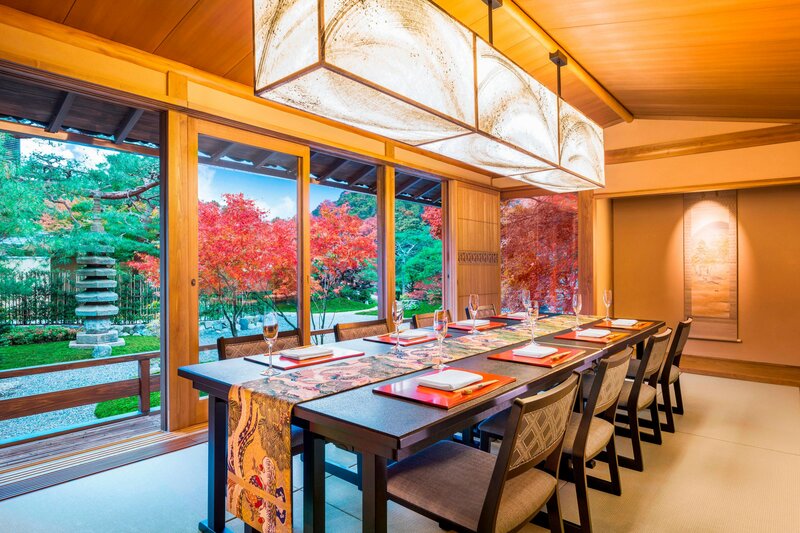 Nestled amid a majestic garden, Kyo-Suiran presents washoku cuisine crafted with innovative French preparations and fresh local ingredients in an iconic setting-a carefully restored private residence of the Meiji Era. Located along side of the tranquil Hozu River breath-taking view awaits from the over 100 year-old building. 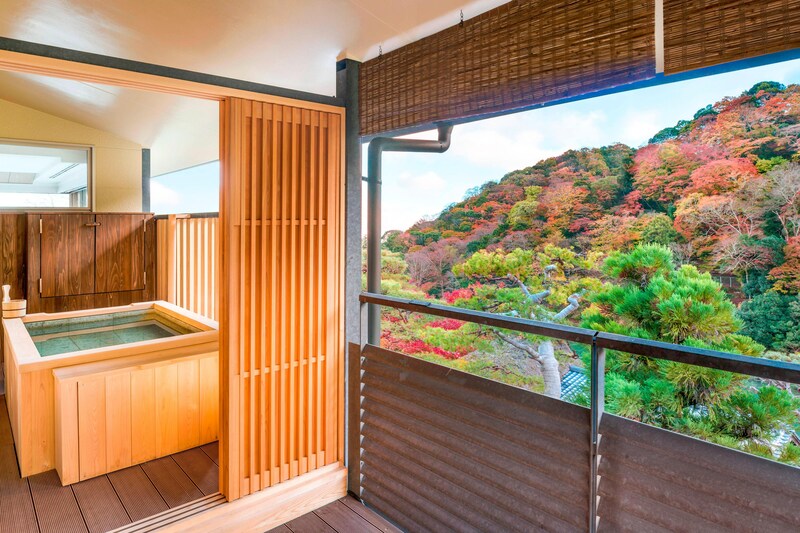 Shaded by a lush, natural canopy and a thatched straw roof, indoor and terrace seating areas are surrounded by panoramic views of the enchanting Arashiyama. 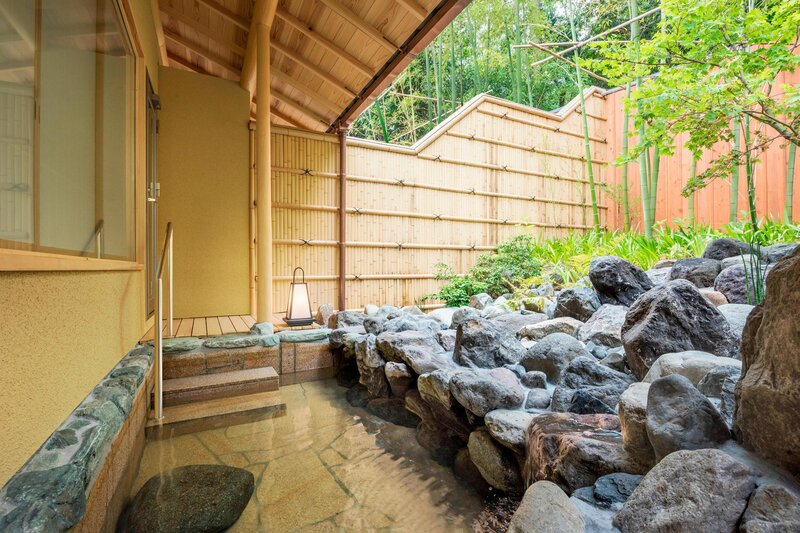 17 rooms out of 39 offer "Onsen" hot spring bath in the room for guests relaxation and wellness. Also Private Spa Room is available equipped with open air bath for guests who would love to enjoy a bigger bath. This retreat is inspired by traditional Japanese touches and culture offering a truly enriching and indigenous experience.